Big Bear Bachelor Party | Rent a Big Bear Cabin for your Bachelor Party! There’s a reason why so many people come to Big Bear to celebrate life’s next big step. 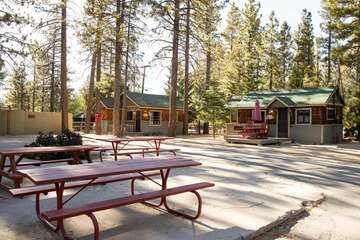 Nestled in the San Bernardino Mountains on the southern tip of California’s largest recreation lake, Big Bear is the perfect combination of natural beauty, good people, and good times. You might be a little worried about getting married – but you shouldn’t worry about your bachelor party if it’s being hosted in Big Bear. Get to drinking, dancing and eating the night away the moment you step into Murray’s Saloon & Eatery. Fun isn’t in the name, but it might as well be. This is a Western-style saloon with a modern twist. Murray’s calls itself “The best five-star hole in the wall you will ever go to!” This is a bold claim, but one that you can test for yourself when you host an upbeat, cherry bachelor party at Murray’s. The karaoke machine and photo booth inside the saloon will surely catch your attention as the spirits begin to flow. Please call ahead if you plan on bringing a large group. The most popular Mexican restaurant is ready to host your next Big Bear bachelor party. Sip on a margarita, eat tacos, and enjoy good company on the patio of Azteca Grill. The restaurant is more than happy to host your Big Bear bachelor party, but asks that you call ahead for reservations. Azteca also offers catering services with most of their delicious menu offerings, including tacos, fajitas, enchiladas, tamales and more. This is ideal if you already have a location for the party, yet you still want to enjoy the food from Azteca. They also extend a 10% discount to locals for catered items. Big Bear Mountain Brewery is the perfect place for a bachelor party full of beer lovers. Big Bear’s original craft brewhouse has been up and running for almost two decades. You can taste some of the finest beers that Big Bear has to offer, all freshly brewed right in Southern California. Make sure to try the Tangerine Wheat beer if your Big Bear bachelor party is being hosted in the summer, and The Grizzly chocolate porter if you’re here in the winter. Like any good brewery, Big Bear Mountain also has plenty of delicious food offerings, including their famous homemade chili. 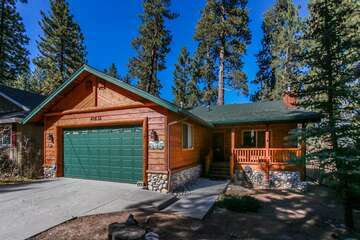 Check out our amazing vacation rentals in Big Bear and find the perfect setting for your next vacation. 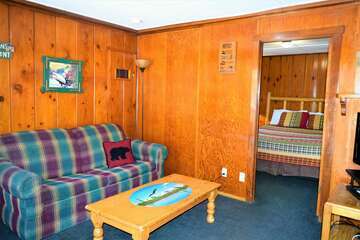 Call our reservations team today and book the perfect Big Bear cabin!